A little black dress is always a good choice, just like black and white tiles. You can dress them up or dress them down. They live in upscale lofts downtown, and quaint little kitchens in the country. 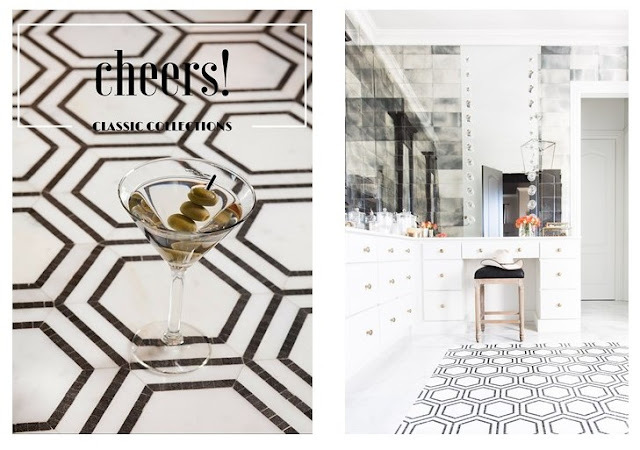 Black and white tile designs work with so many styles, and we offer these retro inspired looks fit for your Craftsman or contemporary city lifestyle. Flooring to Bar Countertops, our Hex Appeal Stone Hexagon Mosaic is not only a popular choice, it graces the home of one of Country’s crooners. Luckily for you, you do not have to have a CMA to get your hands on this beauty. This beautiful stone mosaic looks oh so pretty with our Antique Mirror Tiles too! Is there really anything more glamorous? Unwinding after a long day, or getting date night ready would be a joy in this bathroom space! From mini Hexagons that donned ice cream parlors of the past, to scintillating modern designs that you’ll want to design your whole home around! 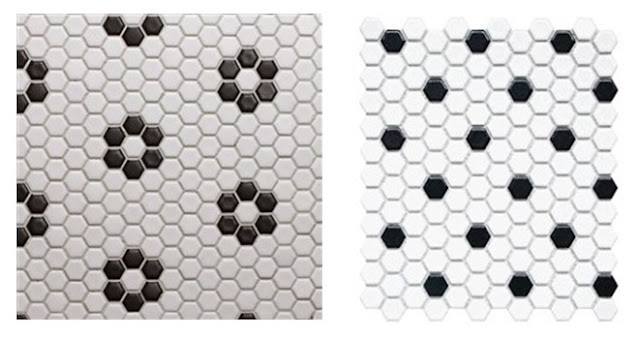 Our Mini Hexs in Black and White Flowerette Patterns are perfect for bathroom and shower floors, and you can go for an all vintage look with white Subways on the walls. Add a little black pencil liner in your design for a sophisticated and classic look, and black vanities look luxe against all white Subways! 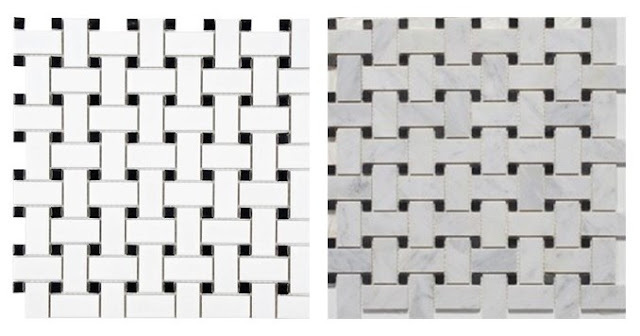 If you love this vintage look, you’ll also love the classic Black and White Basketweave mosaics! Offered in ceramic or natural stone, you can have all the elegance on a budget and ready to ship to your doorstep in about a week! Take a look at our popular and classic Black and White Mosaics, and the hardest thing you’ll have to do is decide which one you like best!